How to install the Pantheon desktop environment? I want to install Pantheon desktop environment from elementaryOS on Ubuntu, is that possible? This is answer for newer releases of Ubuntu — 12.04 and up. Remember, use this at your own risk! After completed installation log out and chose session called Pantheon in LightDM. Open a terminal window (press Ctrl + Alt + T). Logout?Restart and select Pantheon on the login screen. The Elementary Tweaks app is an icon at the main System Settings. Change all possible entries to elementary at Appearance tab. You may want to install more apps from Elementary, but with this you get most of it. I havent been able to install beatbox too. EDIT: Please note that this was written in 2011, and it may or may not be still valid for the latest editions of ubuntu. If anyone has tried it, please report in the comments. I just installed pantheon on Ubuntu 14.04. It's working fine, with just a couple of caveats. Also, this Ubuntu install has had almost every Desktop Environment under the sun, so it's nothing close to a clean Ubuntu. Elementary's official theme looks broken; other themes for Pantheon I've tried too; Lubuntu-default, Ambiance and Radiance, and Adwaita look fine. Hotkeys are not the same as in a real Elementary OS, and that's the only thing I can't change on Switchboard; you have the typical Ubuntu hotkeys, which is not that bad. For instance, I prefer switching workspaces with SUPR+LEFT/RIGHT, but this has CTRL+ALT+LEFT/RIGHT. If I fix those I might remember to update this. If I don't, feel free to remind me. Not the answer you're looking for? Browse other questions tagged software-installation pantheon or ask your own question. 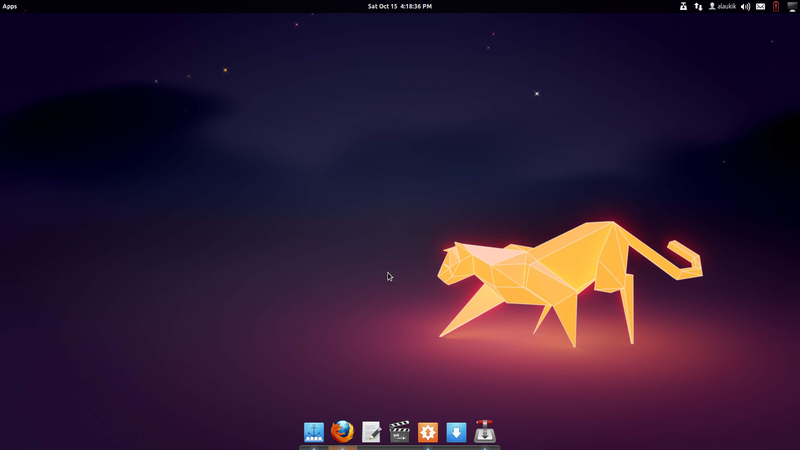 How to install Pantheon Desktop on Ubuntu 15.04? How do I purge Pantheon desktop?/Why does this window appear? Wanting to install the Pantheon desktop environment within Ubuntu, is it still dangerous to try to install it or has a stable version been released? Can I install pantheon terminal in Ubuntu 14.04 or newer? Install pantheon desktop on Ubuntu 15.10? Install Elementary Pantheon desktop for Ubuntu 16.04?